In November Lynne Sachs and I did an afternoon workshop at the Echo Park Film Center,one of the more spirited places in the country that foments debate about and practice of cinema. THE DEVIL IS IN THE DETAIL: microcosmic street photography. Visiting experimental documentary filmmakers Lynne Sachs and Mark Street (Brooklyn, NY) will discuss looking at urban locations IN CLOSE UP in this hands on workshop. How to represent a place IN DETAIL using film or video? With a glancing nod to the tradition of street photography (Dziga Vertov, Rudy Burkhardt etc etc) participants will prowl the streets around the EPFC looking to find beauty, truth and poetic resonance in taking the short view: a tree shadow on a bodega wall, a piece of trash floating across lanes of traffic, a wisp of an anecdote from a longtime resident. Eschewing the panoramic, we will attempt to uncover an exalted way of seeing through active and engaged observation of forgotten moments culled from the minutia of daily life. Participants are asked to bring a SMALL IMAGE (still or a few minutes of video tape) and/or a short (2-3 minute) snippet of audio that they feel represents some aspect of their urban surroundings. We will use this material as a jumping off spot to gather more images and sounds in the neighborhood. Very much looking forward to this show to be presented at Anthology Film Archives, and again in April at Pacific Film Archives in Berkeley, CA. 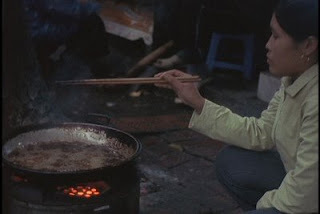 "Ventana al Sur: An evening of Argentine Experimental Films"
We will serve Yerba Mate tea in a communal gourd and sweet dessert churros in the lobby before the show. Portrait of a small community living by the railroad tracks in the banana plantation region of Quiriguá, Guatemala. Originally a single take, this film is composed of alternating equal number of moving frames and frozen frames as the camera tracks alongside the train station. A structuralist vision as conceived by one of South America's most beloved experimentalists, Narcisa Hirsch. 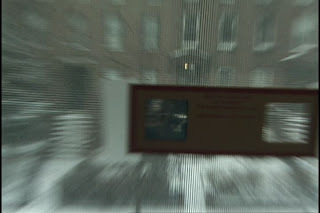 One wall of the filmmaker's studio as seen through a fixed camera. We see photos she's stuck on the wall, then there is a dialogue with a male friend to whom she is describing the rest of the walls that you don't see. A "one upmanship" of a similar film by Michael Snow where he describes a wall of his studio- workshop, by describing what one CAN see. In the blink of the eye – 1440 frames in one minute – the rituals of childhood and adolescence give a magical and haunting rhythm to daily life. Like the curves of the body, an hour glass can both seduce and repel us. A film portrait of filmmaker Claudio Caldini: in the industrial town of General Rodriguez, Buenos Aires, a man makes a new cinematic offering in front of the no-longer-industrialized Kodachrome. Shot on a rooftop in Buenos Aires, this film truncates space in ever inviting ways using a dizzying array of formal tropes. “Equivale a mentir” (3 min, Super 8 to video, sound, 2001) by Macarena Gagliardi. A meditation on the four elements, and various aspects of fusion—a sensual evocation of the process of change. 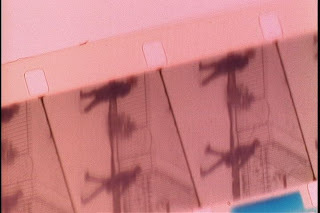 “Espectro” (6 min, super 8, 2008) by Sergio Subero. Abstract images shimmer and shift on the screen. We are invited to look within as we enter an unfamiliar and unpredictable realm. The capital of Uruguay reveals, briefly, its characteristic of a Doppelgänger City: a single place cut in two spaces where two pairs of creatures explore the limits of the travelogue. A boy from La Cruz walks to school to read aloud the stock market report from the newspaper. We are witness to the last day of capitalism. A fantasmic guardian coddles and keeps the images of the world. Two characters on split screens collide, converse and argue as the city unspools kinetically behind them. A witty and wry comparison of linguistic and visual modes of expression through a series of pithy and provocative animated vignettes. An homage to two ramshackle cities, made up of footage shot while wandering. I meander city streets with a camera, looking to be haunted by unfamiliar vistas. I find solace in the forgotten landscapes, odd voices on a ham radio, shimmering water in a desolate harbor. Later I attack the film, moving it this way and that, trying to squeeze it against its will, wrest strangeness from the everyday. This is my third diary film: I made January Journal in 1985 during a winter break at Bard College. In 1992 I made Lilting Towards Chaos, about negotiating SF as a young adult. This last deals with the middle age thing... trips to New Orleans and North Carolina and lots of footage in Brooklyn, wandering as always. Some of the footage was made by RAY O GRAMMING: laying objects on 35mm stock and exposing it to light, yielding unexpected abstract shapes. Over the past few months, I’ve had 2 vastly different but immensely satisfying film festival experiences. No awards, no gleaming headlines, not even packed houses, really, just a vague but edifying feeling that it makes sense to travel and show work and throw myself into the vortex. I haven’t always felt this way. Some of the most alienated vignettes in my life (and there have been many) have happened at film festivals. I’ve felt an odd mix of galloping expectations, social awkwardness and misanthropy as I approach these gatherings. At other times I’ve felt like a Junior High student carrying my lunch tray past various cliques, wondering who my tribe is. One recent festival visit confirmed my reclusive and anti-social propensities, another surprised me with its heartening, seemingly effortless stab at creating community. Both have given me a chance to think about why I both look forward to and fear these gatherings in equal measure. What makes for a good, or at least tolerable experience? What am I looking for, realistically, when I choose to enter a film in one of the many festivals that stretch out like beacons of possibility as I thumb through the back pages of the FAF magazine? In 1990 my film Winterwheat got into a festival in Utah called the US Film Festival. I was quite happy with the news, but didn’t know quite how to place it. “Are you going?” asked my roommates on Page Street. It hadn’t even occurred to me. It seemed like a case of misplaced values—to travel for an 8-minute film screening. So I drank in the Mission District the night of the screening, facing east, vaguely, wondering about what I was missing. The US Film Festival changed its name the next year to the Sundance Film Festival, and I kept my name but decided not to sit home and stew any more. The next time something similar came up I’d displace myself, face my expectations and fears and make a trip out of it. In 2001 I did travel to Park City from Baltimore with an even shorter film, Sliding off the Edge of the World. A family member in the know told me that the FRONTIER SECTION was the cutting edge part of the program and that I was in good stead. Still, I had agrophobic visions of being on the outskirts, and on the plane I felt foolish and silly for coming so far for such a short film. So it was off to Park City with a hacking cough and a seven-minute silent 35 mm film. “You must be so nervous, there’s so much at stake” said the 20- something casting agent at the cocktail party. “Not really” I thought to myself. 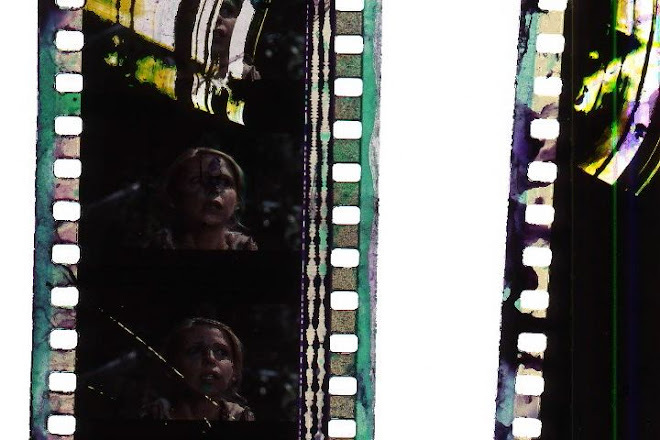 “I’m not nervous, and there’s not that much at stake.” 7 minute silent 35mm films out on the frontier don’t exactly inspire market forces, as we all know. Later that night I visited a 24-hour clinic and got some antibiotics from a kindly nurse. Not exactly the Dionysian recreational drug experience I’d dreamed of, but I felt better. Once I got a call from a festival in the Southwest about visiting with my first feature, At Home and Asea. “I’m glad to come, but I don’t want to come all the way out there if there are only six people in the audience.” I received some vague assurances. Sure enough, when the lights went dim on my Sunday afternoon screening there were exactly six people in the audience. But it didn’t stay that way: a couple got up and walked out after 10 minutes. I was restless so I popped into the theatre next door to size up the competition, as it were. A huge crowd was watching a compendium of the “best” car commercials of the year. To prove I’d really cured myself of my avoidance of travel, I once made it all the way to the European Media Arts Festival to show my short Sweep. A trans Atlantic flight to Amsterdam, then a 2-hour train ride into Germany left me worn and battered, but focused on the unassailable reason for the trip. Just before entering the film festival office it all seemed to slip away. Why had I come all this distance for something so small and insignificant? What if nobody liked the film? What if no one showed up and I feel ridiculous for having come all this way? I wanted to stay an anonymous traveler for a few more moments. I knew that when I entered those doors I’d be a festival attendee, with all its pursuant expectations and vagaries. I walked around the block to preserve the purity of the moment. When one hurtles oneself across the world for any inane reason (even as a tourist) there’s a humility and simplicity to it. To attend a festival is something else: it’s being open to being let down, to have one’s ironclad purpose and resolve be buffeted around in unpredictable circumstances. But enough grouchy negativity, what about these recent festivals that worked out so well for me? The 2007 Tribeca Film Festival premiered my latest diary film (A Year) in a group show and I attended several other screenings and parties. I enjoyed standing on the outskirts, sipping vodka and nibbling on nuts as people swirled around me. “It’s so ANONYMOUS here” a fellow filmmaker complained. Maybe as I get older and more disassociated I have come to see the value of more distant social relations. Besides, in some sense shouldn’t a festival party mirror the essential state of film spectatorship: that we are at once alone and in company, but locked in our own private voyeuristic fantasy? On the more intimate end of the scale in July I took a detour from a family vacation to descend on Marseille for a screening at the Festival des Films Contre La Nature (Festival of Films Against Nature.) I can’t imagine a more engaging mix of people, good hearted and kind, welcoming and hospitable. The films looked great up on a big screen in a small auditorium in the hills of Marseille. There was a mistral that weekend, and you could hear the ferocious wind outside the theatre like a ghostly soundtrack. It was an honor to see subversive and charged work bursting off the screen in such an exalted environment. It was a small group of people, but discussions were vibrant, wine flowed freely and I loved every minute of it. Every night after the last screening large tables were set up and our hosts served dinner, Last Supper style, to anyone who wanted to stay. I was moved by this committed and indefatiguable collection of people. Maybe my misanthropy is weakening. So what is it I want from a festival? Splashy and soulless spreads? Heartfelt human interaction? Given the utter impossibility of any kind of tangible benefits I’m left to grasp onto small and unquantifiable rewards: a nice conversation, a feeling of belonging, a fleeting image on a screen glimpsed in an afternoon screening on the way to a wine bar. I like brushing up against filmmakers except when I don’t, and I often want to talk to people until I engage them, and then I just want to run away. I keep wondering if a plumbers convention is just as fraught with contradictions, complications and anxieties. How could it not be? A few weeks ago I was walking home in Brooklyn and a woman yelled my name from across the street. It was Kristen Nutile, whose heart wrenching and wonderful film about her father Loss had played with mine at Tribeca. We waved and smiled at each other from across the street, and I thought again about her film, which resonated so deeply with me. Later that week I got a package from Marseille: my mini dv tape returned and also the prescription sunglasses I’d left on the table at the Last Supper. What a sweet and thoughtful gesture to send the glasses across the Atlantic to a scattered filmmaker! I’ve always resisted the notion of joining, but the community of festival participants seems like where I most belong. In Rockaway, three teenage girls from Queens celebrate their last night of high school on the edge of New York, where the city meets the sand. Their wild stabs at adulthood confuse and haunt them as they struggle to define themselves in the face of a future they can’t imagine. Rockaway shows the last vestige of a fleeting adolescence caught between suburb and city. Greater minds than mine have grappled with this monumental film, so I'll only wax enthusiastic about the EXPERIENCE of seeing it in a stunning new print at the Film Forum in NY this afternoon. I'd only seen it on VHS a couple of times, and seeing it in a theatre was an experience different in kind, not degree. Like all great films it demands its own psychological space, daring you to accept the world on its own terms. In the absence of conventional narrative spikes, I was able to see the beauty and complication in quotidian rhythms, something I tend to overlook if I'm following a plot. The scene of the protagonist quietly sipping coffee while Belgian streetlife buzzes outside remains one of my favorites. For some reason I found the 'narrative' in the theatre particularly fractious (perhaps in the absence of conventional narrative elements on the screen). An older gentleman screeched at a man who was supposed texting during the screening, and even went to get a manager! This reminds me of what friend of mine told me about a screening of Warhol's Empire--he tended to over emphasize the things we usually ignore in a theatre setting: a man coughing, a woman crossing her legs, etc etc. Proust said that all art is translation, and it’s true that being able to describe and elucidate one’s work in a variety of contexts is important and necessary. I often find myself tongue-tied and ashamed when asked to give a pithy explanation of what I’m working on. I’m awkward with my film’s relationship to other traditions (fine art? documentary? avant-garde film?) and find myself nervously talking about the process or pulling out some self-effacing anecdote that doesn’t clarify what my film is. This may speak to my ham-handed communication skills, but I’ve come to believe that it also underlines a certain indeterminacy—a betwixt and between space the films occupy—and a refusal to join either accepted aesthetic traditions or traditional production models. I’ve decided that maybe this littoral state is a positive. Just recently I finished Hidden in Plain Sight, a contemporary cinematic city symphony that I shot in four locations: Santiago, Chile; Hanoi, Vietnam; Dakar. Senegal; and Marseille, France. As usual, my attempts to talk about the film have brought up a host of questions about where the film sits in the world, as well as expectations people have for films in general. For Hidden in Plain Sight, I simply traveled to these far-flung locales and filmed whatever I wanted to, letting the moments unfold before me. Sometimes it felt unprepared and sketchy, but at other times the spontaneous mode of production seemed to trace an unrehearsed and immediate relationship to the urban milieu. Attention turned towards me in a way that it never had on the stockbroker-fathers. All fair and engaged questions from the group, I was happy to answer as best I could—though with a twinge of performance anxiety in the social spotlight. I was momentarily stunned by the snarkiness of her question and just let the moment sink in. Emily’s question points to a gulf in ideologies that I’ve been thinking about a lot lately. Do you need societal backing to do what you want to do, or can you shrink the scale and create on your own terms? Do you need a financial directive, or can you shoot something on a shoestring and find it pleasing and communicative? Do you jump in and create or wait for support and infrastructure? In a way, I think it’s as much about how we see the world as it is about money. Are you answering a command with your artwork, or are you howling at the moon almost despite yourself? For better or worse, as unimpressive as it is at dinner parties, I’m firmly in the latter category. Later I tried to engage an experimental musician to create music for the film. Again, I found myself at odds with prevailing assumptions. Despite the ostensible proximities of our disciplines, we were speaking different languages. We spoke about “process,” “an experimental feel,” being “bold with aesthetic choices.” If I had been afraid of “low” production values, I explained to him, I never would have gotten on the plane to Dakar. But he wouldn’t work on the project unless we followed a specific professionalized production model (scoring, rehearsal, professional studio recording) that I could ill afford because, you see, no one was paying for it. At present, I’m sending around Hidden in Plain Sight to various festivals. As always, I’m irritated and deflated by film festival application questions that seem almost aggressive: world sales agent? publicist? In addition, I have to hem and haw over which box to check (experimental or documentary) to classify the film. These people are asking about a different kind of film, perhaps one Emily and the musician would like to see, with clear underwriters or a preordained place in the world. 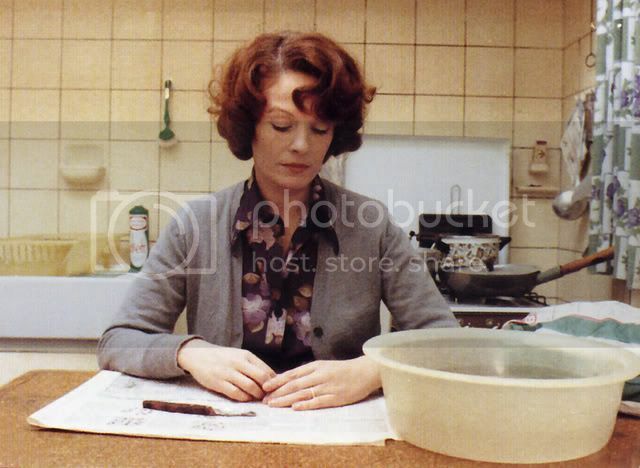 With the kind of films I make, the idea of waiting for institutional support has always been anathema to me. I try to make films “out of necessity,” as Stan Brakhage wrote. He also decried the goal of professionalism, noting that the word amateur connotes the love of something rather than a hope of financial rewards. I never expect to make money on my films and never wait to be asked to make them. You wouldn’t ask a poet or painter about his financial backing, and probably not a novelist. It’s hard to communicate this ethos of self-sufficiency, but I believe in it. In 1994 the San Francisco Police Department evacuated a whole block in the Mission District and blew up a home-made battery pack I’d made for my 16mm Bolex camera. I had left the battery pack in the storage area of my girlfriend’s house along with broken suitcases, camping equipment and other boheme detritus that everyone seemed to leave on Cumberland St. All of our apartments were small, and my girlfriend and her sister had storage area to spare. The battery pack consisted of 4 lantern batteries in their original cardboard box, fastened with duct tape, with a single green wire protruding from the box to be attached to motor and then to the camera. My girlfriend’s sister saw the wire and box peeking out from the storage area as she parked her car in the garage and called the police. After hearing about what had happened, I called one Sergeant Donahue to explain the situation. This was yesterday’s news to Sergeant Donahue. “As far as I’m concerned this case is closed” he said and hung up. Bomb or no bomb, battery pack or no battery pack, that particular item was history. I don’t miss that battery pack. It was cumbersome and I only used it on a few occasions, to shoot clouds in slow motion moving across the Bernal Heights skyline for my diary film Lilting Towards Chaos. But I hated to hear the policeman slam down that phone with such finality. It felt like an end, for me. The object itself held little significance, but the ethos of figuring out how to jerry rig something to fit onto a camera, those days seemed irretrievable all of a sudden. It’s a much better story than it was useful object, and like some people it made more of a splash in death than it did in life. Maybe so it will be with film, better as a wisp of an ideal, a memory of a fleeting imperfect shadowplay across a white screen in the dark than the experience ever was. Film going was always just short of a dream— a sensual engagement rather than an object, an ephemeral event hard to contain and define. I feel like I’ve been waiting for film to die my whole adult life. At Bard College in the mid 80’s the slick film majors had anecdotes and evidence about the end of celluloid. “It’ll all be video by next year” intoned Jed from Long Island, who I remember drove his red Porshe into a tree one drunken night. I shrugged at Jed’s dire predictions and went on scratching on black leader. In the early 90’s I would tote my 16mm prints all over the country, only to have some curators take a quick took at the cans and say “Can’t we just show your stuff on VHS?” I shrugged it off. In the late 90’s a got more calls then I needed from people GIVING AWAY flatbed editors and film prints, would I take them, please? As Baltimore’s City Salvage , (a repository for all the overflow of taxpayer purchased objects) closed its doors, I dutifully made a trip out there and loaded up my car with unwanted 16mm prints: Life of a Grasshopper, A Chance to Live: Nuclear Disaster and Blow, Wind, Blow, among others. “I don’t know how many more 16 mm films I have in me” I heard filmmaker after filmmaker say to me. This from the people who’d moved over to video. I can’t hold any kind of media choice against any working artist, so I shrugged some more. I shrugged when the film departments where I have taught (in Florida, Baltimore and NYC) stopped paying to rent 16mm films. I’ve never been a purist. Purism, like perfectionism, strikes me as some kind of ultimate hubris, as if one is taking one’s art too seriously, and the gods are waiting around the corner with a big stick. And yet I’m awkward with the transition, the inevitability of it all, the surging sense of loss. The other day some students from the film preservation/archiving program at NYU came over to my house to help me store some of my film materials safely. They labeled everything with bright blue tape, inspected my prints and outtakes, and arranged everything neatly. I kept trying to get these folks to loosen up as they worked, feeling like they’d made it out to Brooklyn to do me a favor, of sorts, albeit one they were getting college credit for. But they had a sort of grim determination, like coroners or embalmers, as they adjusted a humidifier, inquired about the nature of the splices on my workprint, and stacked my plastic cores in rows. I used to encourage my students to buy old cameras and projectors, dumpster dive at libraries giving away their collections, process their own film, engage the medium in some sort of punk, DIY aesthetic. But film is no longer the detritus of the culture, and using it is no longer a considered reaction against planned obsolescence. Film is the old grandfather in the corner who is demented and senile and repeats himself over and over again. It’s not underground, hip, indie or pure. It’s expensive and all but dead. Ah, but we’ve lost some things. I remember watching my 8 minute film Echo Anthem (comprised of 16mm footage of the 1989 SF earthquake) 40 times in one weekend when I first got it back from the lab. The images flickered on my wall, and my cigarette smoke mingled with the projected light. It isn’t the same when you get a tape back from the lab. I remember seeing Stan Brakhage’s Mothlight for the first time, feeling like my world was shaken. It’s not the same on DVD. Just the other day I projected a print of Ernie Gehr’s Table. The colors were so vibrant, the screen so deep I felt like I was going to sink into it. With work like this, it’s not a question of degree—you simply can’t “get it” on tape or disk. For all practical purposes, those films don’t exist anymore. Festivals don’t show 16mm much any more. For a stretch I made 35mm prints, but the expense made me wonder if I wasn’t being vain and hubristic in a new way. I send out tapes and disks, and festivals are overwhelmed with a glut of work made digitally which they slog through as best they can. It’s wonderful that more people can make more work except when it’s not: when quantity doesn’t equal quality and one yearns for the days when an idea had to be nurtured and worked, considered, and yes, paid for in order to be articulated. Maybe I’m more classist than I ever knew, and I miss the days when moving image making was not quite as populist. The other night I drove to Williamsburg Brooklyn to check out the brand new moving image venue I’d heard about. Hipsters flocked on street corners, charting their pub crawls which start at 11 pm. Comic book and record (I mean CD) stores dot the landscape. Monkeytown is a 50 foot square room with a 20 foot high screen on each wall. The video projection equipment sits in the middle of the room, and you sit facing one of the four walls, with all screens in view except the one behind you. They project feature films on video (2 at a time), documentaries and artists’ works. The night I went I saw abstract digital work shimmering on the screen as waitresses clad in work suits brought spicy meatballs and sesame oil baked codfish. After a few vodkas and glasses of white wine I settled back to watch the show, content to be slumping back and seeing images unfold, at once alone and in company, not quite in the dark, but almost. I’ve always resisted the elegiac with regards to film, this most 20th century of mediums. Things change, and who cares about the actual stuff of film? The ideas that animated film as film are still alive and well and inspiring a generation of moving image makers who are hunched over their video editing equipment at home. But I wished I’d heard the clickety clack of a 16mm projector that night at Monkeytown, or seen a splice jump out of the gate. I miss total darkness, and scratching on the emulsion of found footage films. And I’m not shrugging off the demise of film anymore. 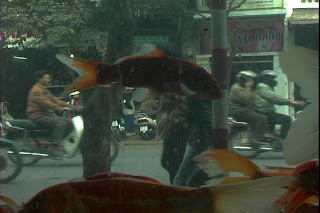 This film was made in Hanoi, Vietnam; Marseille, France; Santiago de Chile and Dakar, Senegal. It's really about looking and wandering, immersing oneself in the urban milieu in the immediate and in a more reflective way. I shot using my 16mm bolex and mini DV. The film premiered at the Tribeca Film Festival in 2008. My new five minute film was made from some 35mm movie trailers I found in the TRASH at my local movie theatre-- the Cobble Hill Theatre in Brooklyn. I painted and scratched at the surface of the images, creating an otherwordly mix. Musicians Jane Scarpantoni and Bradford Reed performed LIVE to this material in 2008 at the Galapagos Art Center, when it was still in Williamsburg.